The HHA Winter Patrol Program is for ‘Full’ Members and provides up to three winter patrol inspections per year, weather permitting. We check for open doors, broken windows, fallen trees, heavy snowfall loads, break-ins and other damage. Damage reports are sent to cottage owners upon each inspection. Each Full Member should receive a plastic QR tag that is affixed to their dock or other locations that will be easily visible from the water. Simply scanning the tag with a smartphone app allows us to track the time and location of the visits and generate a brief report, including a picture of the property to be emailed to our members. In the event of damage, we will be able to provide more extensive reporting to our members. Please note: The safety of the our HHA Patrollers is always our primary concern. Depending on the weather, is not always possible to complete all patrols for every cottage each year. Also note: to perform an inspection, we must have your Cottage 911# on file so we can locate your cottage. If you are a cottager or resident staying in a water-based community, it is important to know your Cottage 911#. Knowing your Cottage 911# helps first responders locate you in case of emergency, and displaying it helps us locate your cottage during Winter Patrol. 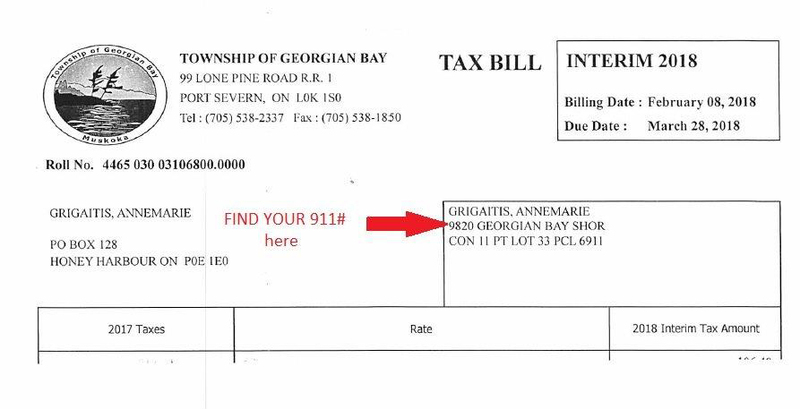 You can find your Cottage 911# on your property tax bill or contact the Georgian Bay Township Planning Department. You can order a blue and white 911# Identification Plate at a cost of $40 CAN from the Township. This helps emergency response and the HHA Winter Patrol easily locate your cottage. 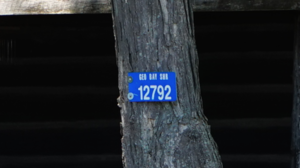 Attach your Cottage 911# plate to a rock, tree or post that is near your dock and highly visible from the water. To learn more, visit the Georgian Bay Township website.